Hi, my name is Elizabeth! I’m a stay at home mom to precious 20-month-old boy/girl twins Caroline and Will. We live in the suburbs of Dallas and love frequenting the grocery store, Target, and any park we can find. 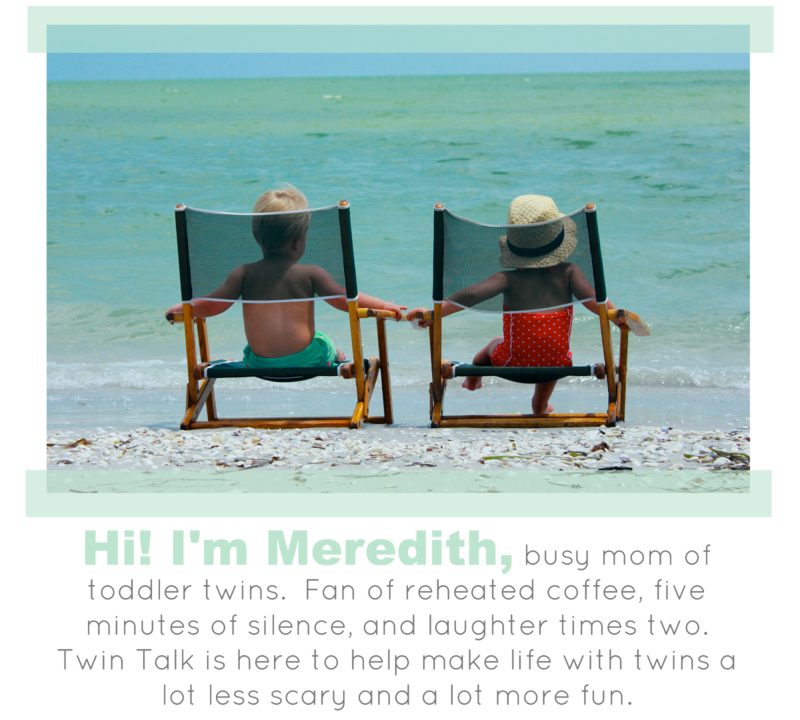 I am thrilled to be writing this post for Twin Talk. I had a hard time finding any blog posts related to my toddlers lack of napping, so I am hopeful those in a similar situation find this helpful! Ohhhhh naps. That glorious 2-3 hours a day for toddler moms. Time to recharge, do laundry, eat lunch, be crafty, catch up on emails, watch your favorite t.v. show, whatever you want! Or so I’ve heard. During my pregnancy, I envisioned getting to enjoy nap time while my littles slept. And then I gave birth to the non-napping twins. Now that isn’t exactly true. My twins do actually take a nap once a day. Right after lunch they take a nap for (wait for it…..) 30 whole minutes!!! Maybe 45 minutes if I’m lucky. I can count on my fingers the number of times either of my twins have taken longer than an hour nap. And it’s been this way since they were around 4 months. They would of course take more naps a day at a younger age, but never longer than 30-45 minutes. I’m sure some of you right now must be thinking that it’s definitely my fault that my twins don’t nap. I don’t blame you. I’m sure if I was in your shoes, I would be a little skeptical of the root of this problem. Maybe I still rock them to sleep, or they have no routine, or something. Let me tell you. I wish you were right because then there would be something I could do to change how long my twins sleep. I have tried EVERYTHING. Seriously. If anyone mentioned a strategy that worked for getting their kids to sleep longer I tried it with Caroline and Will. White noise – check, black out curtains – check, fall asleep on their own – check, full stomach – check, adjust nap time – check, give them a blanket and lovey – check, engage their mind and physically tire them out – check, separate them in to different rooms – check, every and any trick – check. Unfortunately my twins just aren’t good nappers. It’s literally in their DNA. 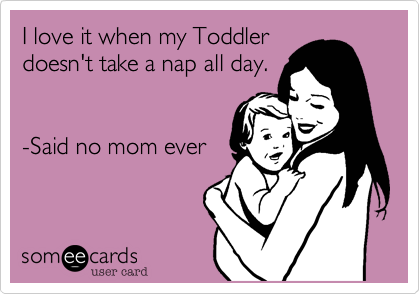 (or so I tell myself) My husband was a terrible napper and I have my younger sister to blame as she didn’t take naps after she was a year old. I mean what?!? Through this crazy daily ride of short naps, I’ve come up with some strategies for helping me cope. Let It Go (sung in best Frozen voice) – Finally around my twins 1st birthday I just came to terms with the fact that they weren’t ever going to be good nappers regardless of what I did. It was seriously freeing. No more fretting about finding different and new strategies and testing them out. Just enjoying the routines I had created. Shake it Off (sung in best Taylor Swift voice) – When other moms ask you about your kids napping and you tell them your situation, you normally get a weird look in return. It’s typically a mixture of horror, disbelief, and a little judgment. And oh the suggestions. The suggestions never end. As I mentioned above, many people think it is something you are doing wrong that is making your children nap terribly. So just shake it off….shake it off. Smile and nod politely and know that you are doing the best you can for your kids. Try Not to Compare (sorry no fun song this time) For a long time I obsessed over comparing my kids and their schedules with others. I would wish and hope for my kids to have a schedule like their kids. A long nap, a good solid sleep through the night. It was depriving me of the joy of my kids because I was obsessing over what everyone else’s kids were doing. This one is the hardest and I STILL struggle. 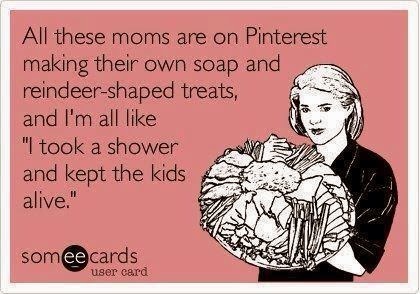 I see other moms who seem perfectly put together and well rested and I often thin, "Well maybe I could be like that too if my kids would just nap!" But I’ve realized every mom has her own struggle and this happens to be mine. I may be more blessed in other areas. So try your best not to do it. Set Low Expectations – For months, at naptime every day I would think maybe this is the day the twins will start napping for a significant amount of time. And every day I would be disappointed. Once I lowered my expectations and planned on them only sleeping 30 minutes I was pleasantly surprised if it was for any longer. This really helped me stay positive for the rest of the day. Look for the Positives – Hey, every situation has some pros to it! I do appreciate the scheduling freedom short naps bring. We can pretty much make any time work throughout the day, as there are no long stretches of time we aren’t available. Late lunch? Sure! Mid afternoon play date? Of course! Also, you can make a quick day trip anywhere without having to rush back for naps. We live about 45 minutes to an hour outside of Dallas, so we like to make a day out of it when we venture to the city. With short napping twins you can hit up a fun activity in the morning, throw them in the car for quick naps, and head to another exciting place in the afternoon. Driving around for 30 minutes is nothing! 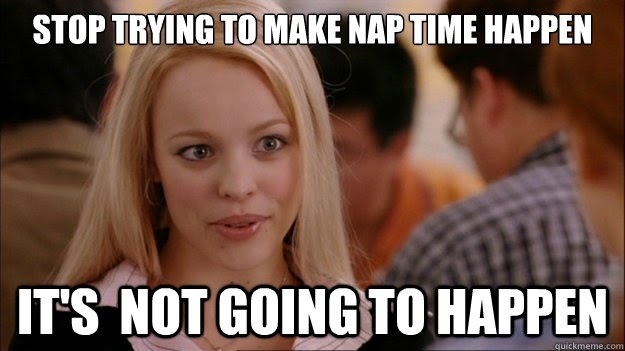 Having twins who don’t take lengthy naps has been a trying part of motherhood so far. I know it’s nothing serious, but since it affects my life every.single.day it has been a big part of adjusting to parenthood. Although I selfishly hope there are a few other twin moms out there reading this right now who can be my no-nap cohorts, I wouldn’t wish this predicament on any mother. If your twins are great nappers, or even good nappers, feel blessed today! Know that you won the nap lottery and revel in it! To those who commiserate with me, please feel free to email me at elizabethcwtwins@gmail.com. I would love to share more specific daily strategies that I’ve used to survive the constant long days. And I want to hear what helpful hints you have too! Hope you are blessed with long naps today! OMG Elizabeth, I cannot even imagine the challenges of twins who don't nap! I'm tired just thinking about it! You must be one fantastic mama to be as positive as you are :) Keep up the GREAT work! Great post! My 18 month twins have been cat nappers as well. I went insane trying everything to get them to nap longer. I do get lucky occasionally and they'll take a nice long nap, but one 45 minute nap is the norm for us. Once I accepted that long naps were not in the cards for us, life got so much better! This totally happened to a friend. However she did realize her baby was SUPER sensitive to caffeine and she literally couldnt have ANY or else her breastmilk would keep her up the whole dang day. So she gave up caffeine until she weened her. Annoying, but she wanted sleep too!